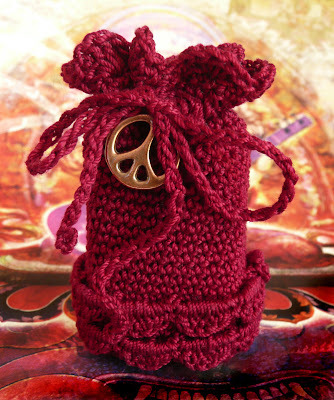 I have a few samples of the pouch for the Peace Perfume that I'd like to share with you all. 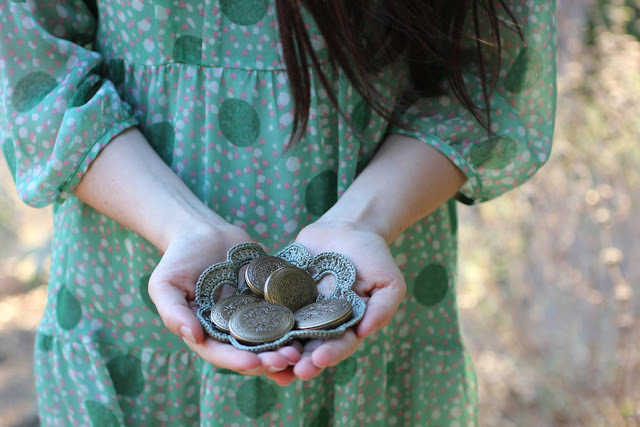 We decided to choose a color from the beautiful image that Greg created with Romio Shrestha. It was important that the color was also part of the palette utilized for the branding of Roxana Illuminated Perfume. In the end we choose a burgundy tone that is a bit brighter than the one we use for Vespertina. 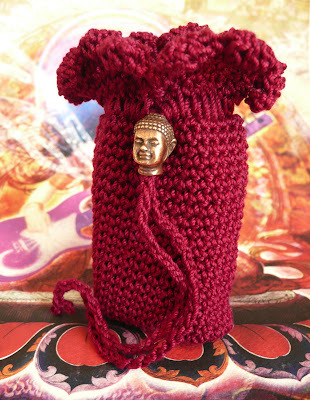 Besides the color we needed to consider the top edging on the pouch and the design elements. Below you will see two variations we are considering. 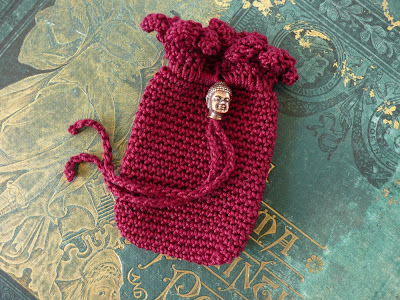 The first is a simple pouch with a ruffle top utilizing a small copper Buddha head for the closer. 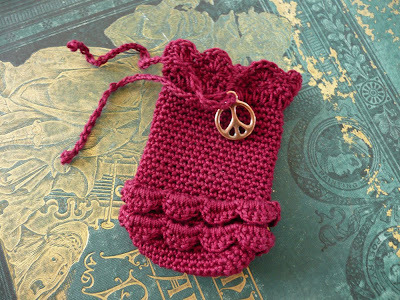 The second is a bit more elaborate pouch with ruffles and a bronze peace sign. 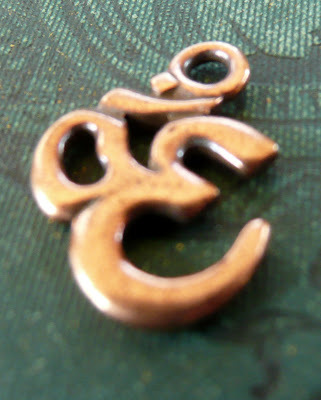 We also have an Aum sign as a potential alternate. Which do you like the best? I've created a poll to get some feedback, please respond so that we can get a sense of what the general favorite is. If you have other suggestions feel free to leave your remarks in the comment section of this post. 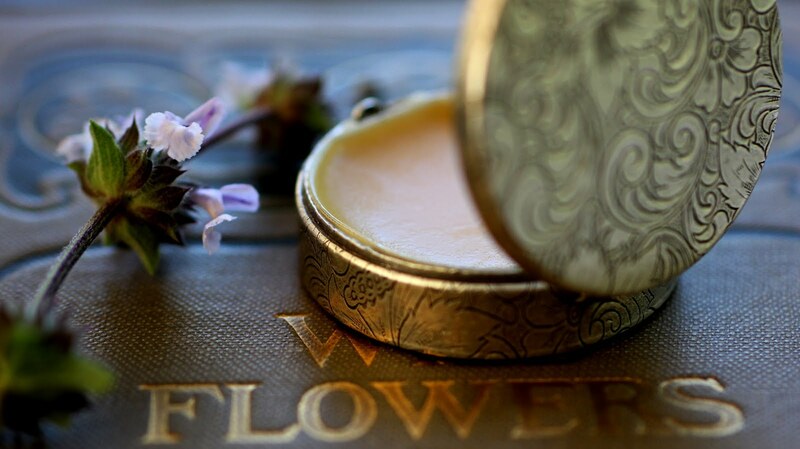 Read more about the botanical perfume I am creating for Project Peace on Earth here. Thank you, your feedback is really valuable. I will post the results from the poll next week, for now they will remain hidden so as not to influence your vote. 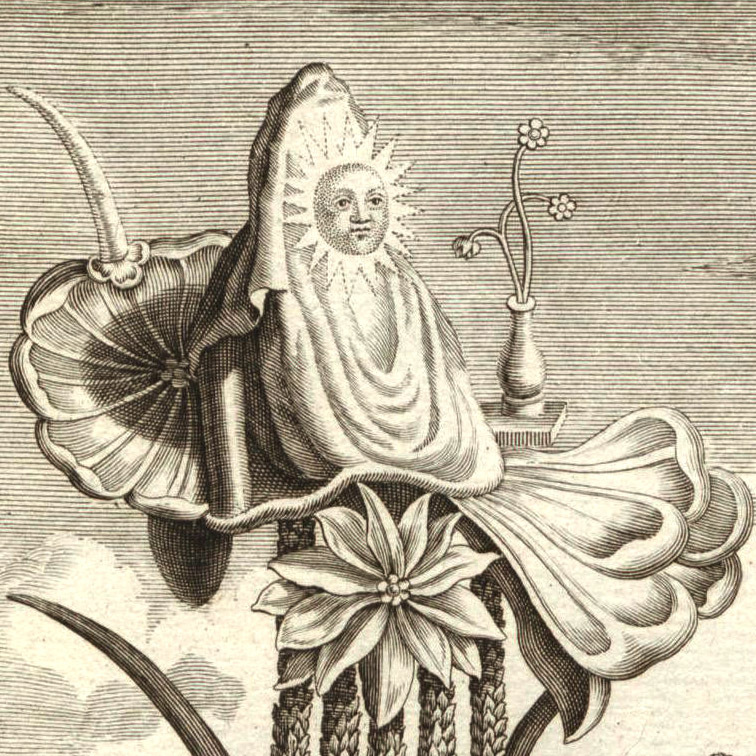 The debut date for this botanical perfume devoted to Peace is set for sometime in August.